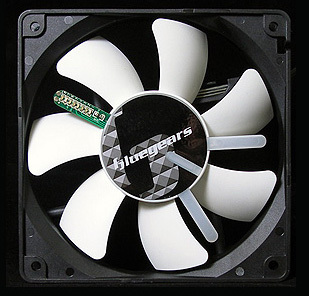 This fan is 120mm. It shows the temperature, fan speed, and the word of cool/warm/hot with some LEDs on the rotating fan assembly. It is made by bgears.